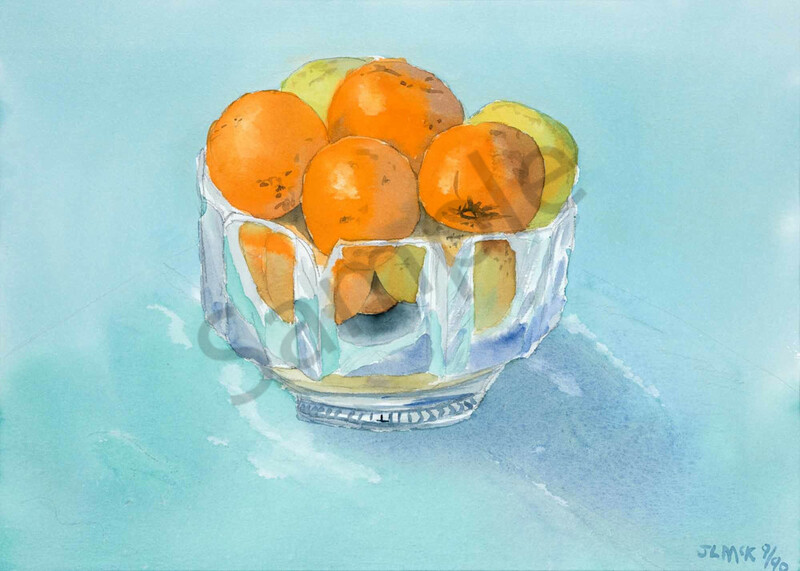 I painted this picture directly from the fruit in a crystal vase on a table under my house at Anthony St., Ascot. I loved the warm orange colour, contrasting with the cooler lemon colour. I enhanced both colours with a beautiful neutral blue-orange wash in the background. An orange frame then completed the work which is hanging at home in Hendra.